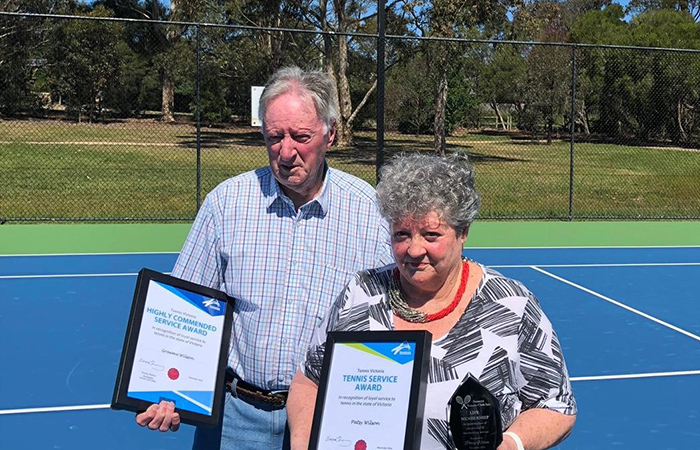 Congratulations to Graeme and Patsy Wilson of the Somers Tennis Club who were recently recognised for their contribution to tennis in Victoria. In 1974 Patsy and her husband Graeme made the decision for Graeme to pursue their dream to start a tennis coaching business. In 1975, G&P Tennis Coaching Services was born, servicing the Diamond Valley. Patsy worked hard off the tennis court assisting Graeme with the running of the business, starting in Diamond Creek, and soon thriving with business spreading throughout the Diamond Valley to areas like Eltham, Hurstbridge and even Phillip Island and Tolangi near King Lake. At the same time, Patsy held down a full-time job as a dental nurse in Greensborough, a position she held for over 40 years. In 1997 Graeme and Patsy moved to Somers where shortly after they became members of Somers Tennis Club. Graeme was on the General Committee for many years before being appointed President in 2005, the position he has held for the past 13 years. Graeme is also Vice President of the Westernport Night Tennis Association (WPNTA). In 1999 Patsy became a member of the General Committee and in 2006 she was appointed Treasurer and Memberships Officer, a position she has held for the past 12 years. Patsy has not only tirelessly supported Somers Tennis Club as Treasurer and Memberships Officer, she has also been instrumental in organising many fundraising events over the years. For many years Graeme has convened both junior and senior PTA and WPNTA competitions. 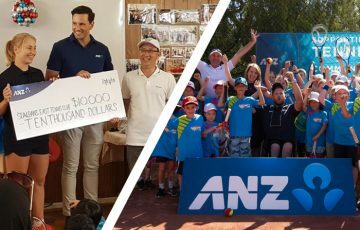 He has ensured local primary school children are presented with opportunities to learn to play tennis and has hosted many junior development squads for the Club’s younger members. Graeme continues to play an important role in mentoring players, both young and old. 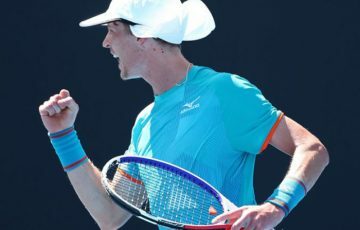 Through Graeme’s hard work and dedication, Somers Tennis Club continues to enjoy a strong membership base, a popular coaching program, and increased participation in competition. Graeme has organised many social tennis activities and he enthusiastically encourages outside community groups to make use of the Club’s wonderful facilities. Graeme has forged relationships with many local businesses that have led to them becoming sponsors of the Club. Through Graeme’s long term passion and commitment to the Somers Tennis Club and tennis more broadly on the Peninsula, the sport has thrived. 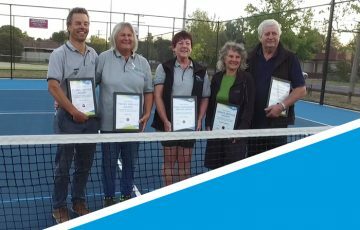 Congratulations Graeme Wilson (Highly Commended Service Award) and Patsy Wilson (Tennis Service Award) and thank you for your contribution to tennis in Victoria. Thank you to the Somers Tennis Club for their nomination of Graeme and Patsy. If you would like to nominate someone from your club for a Tennis Service Award, click here for more information.